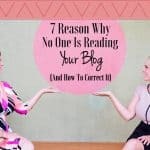 You woke up one morning and thought you needed to monetize your blog. Not really! The real story is that at one time you got this burning desire to reach out to others with stories of your life experiences, or to enlighten others on something you’re very knowledgeable about. In this digital age, the obvious path to follow in achieving this is to start and monetize your blog. On the strength of that passion and enthusiasm, you got your blog set up, not on some free hosting site but on a professional self-hosted site that tells people you’ve been there, done that. Several months down the road it begins to feel as if the stream of creativity and passion has dried up, you’re the only one putting in all the efforts, while the blog doesn’t lift a finger. What you need is some rain to get things wet and get your creativity juices flowing. Those showers can only come when you monetize your blog and make it a rainmaker! So, this post is your compass to find your way out of the dry season to the rainy season. Bookmark this post and pay close attention as I steer your blog-ship from the desert to the land flowing with milk and honey. Now you and your blog can work as a team. 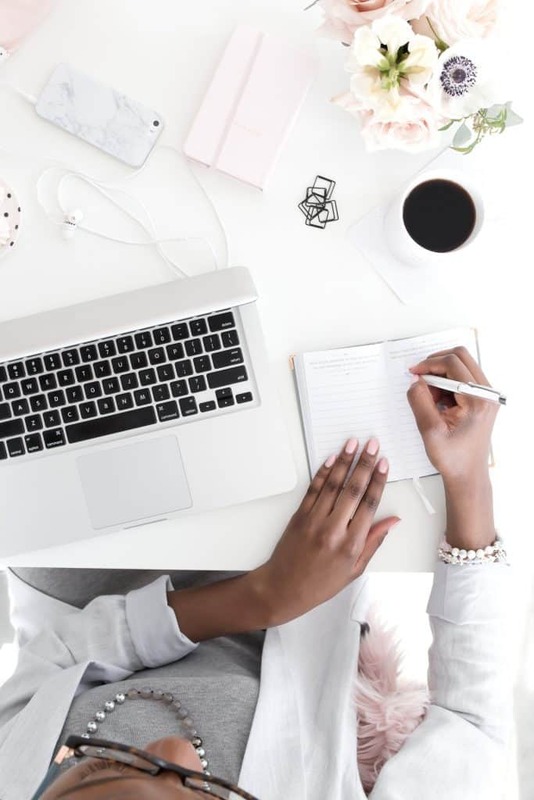 Before we get started, it’s important to note that monetizing your blog can happen within a month of launching the blog, so erase every prior erroneous belief of having to wait months and years before making an income from your blog. You’re about to learn 11 ways you can monetize your blog. So fasten your seat belts and let’s go for a ride! These three are only the general broad categories. I will discuss each of those in more detail and will show you how to make cool cash from your blog. One of the most popular ways to monetize your blog is by promoting products and services created by other people, including digital products as well as services. In this monetize your blog method, you can promote products and services created by other people or brands. The attraction to going this route is you don’t have to do anything except promote. You don’t have to come up with a product idea, create the product yourself or find someone reliable to create it for you, create graphics, etc. All you have to do is promote. 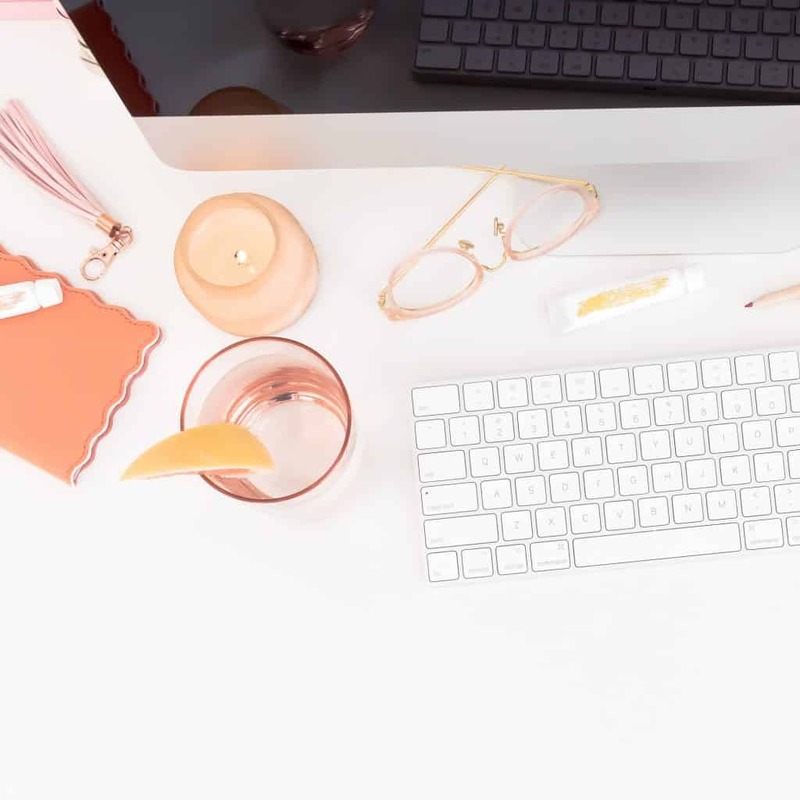 This method is common and is the first interpretation people give to “earning money as a blogger.” However, the game is changing! While you could still follow this method and earn your income purely from promoting products and services created by someone else, there are still newer and better ways to do things that will double your income, or more! After all it is all about the ability to monetize your blog. We’ll get to those a little later, but first let’s discuss things you can do to make money selling other people’s products and services, whether they be digital or physical. Many bloggers use a basic way to earn money, which is to put ads on their blogs. 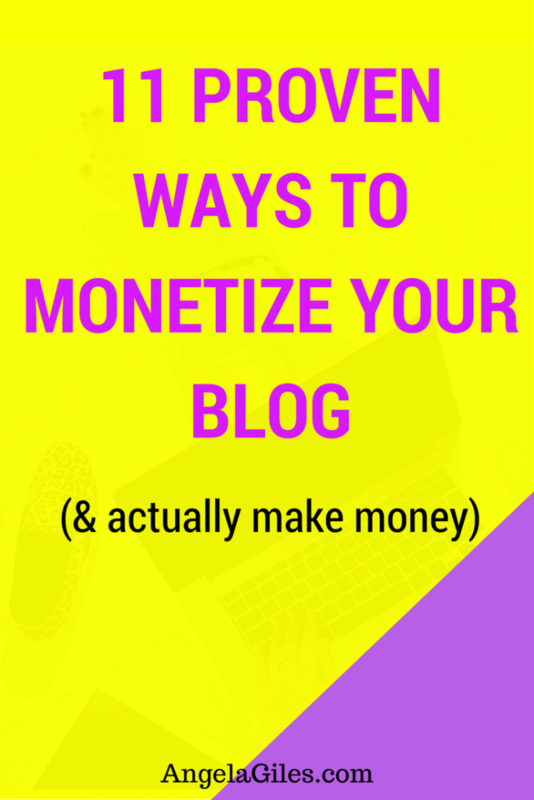 These bloggers think it is the perfect and easy way to monetize their blog. While it can be profitable for those with high traffic, it’s not the best of options. Oops! Did I just burst your bubble? • First, you’re growing someone else’s brand. Of course, virtually all of those ads littered all over your blog belong to another blog, another brand, another business. So all you’re doing with your blog is growing someone else’s traffic and audience, and perhaps yours grows, too. Doesn’t that mean you’re just indirectly working for someone else? • Second, unless you have a huge amount of traffic, they’re not very profitable. Not necessarily good for your ability to monetize your blog? Most pay-per-click ads don’t pay very much, perhaps around $0.50 or less. Thus, to make $500 you would need about 1,000 clicks. And we all know that not all of your site visitors will click on those ads. You’ll need thousands of visitors to produce those amounts of clicks, not to mention it could take years to grow your & monetize your blog to get the enormous amount of monthly traffic to get those clicks. All for what, a check that may not even be $500! So no, there should be a smarter way to get better results. You’ll learn about that smarter way in a moment, so stay with me if you’re looking for better results to monetize your blog. Now you can see that the ads route is not the best option. Your brand becomes a wallflower while you spend your creativity and energy growing someone else’s brand and business. Moreover, with ads, you automatically relinquish some control of your own blog and website over to the network that owns the ads until the contract expires. Another method you can adopt to promote other people’s products and services is to do some sponsored posts and brand sponsorships on your blog. Payment for these are fairly higher than that of ads and range from cash to items. Yet, just as I’ve mentioned earlier, there is a smarter way to get better results to monetize your blog…rather than working for others. Don’t get me wrong though, occasionally you could do some sponsored posts and brand sponsorships and on your blog. The key word is occasionally, so don’t go making it your sole method to monetize your blog. And with most brands, it’s all about the numbers, not necessarily the people you’re going to have an impact on. Why then would you want to get involved if you’re just increasing the statistics? Rather than solely working for someone else who wouldn’t appreciate your effort, secure your freedom to do what you love while leaving an impact, even if it’s a smaller audience. • There is potential for a very large, recurring payoff. While the average affiliate program doesn’t offer huge paydays, sometimes you can find a single program or a combination of programs that can fetch you thousands of dollars a month or more. Your monthly recurring income depends on the product prices, the commission percentages and how good you are at promoting. You can be in multiple affiliate programs, so I recommend joining multiple programs until you reach the income level you desire to monetize your blog. • It requires very little work. Many times the only work you need to do with respect to an affiliate program is to make a single blog post on the affiliate’s product or service and then direct traffic to it daily. You can get even more exposure if you’re using an SEO plugin. You can also pretty easily send out a newsletter about it, directing your readers to the post. This is the real definition of passive income. A drawback is affiliate products are not stable because the owner could wake up tomorrow and withdraw the products and/or services you have been promoting. Where does that leave you? Nowhere good, especially if you made it your only source of income & you want to continually monetize your blog. So affiliate programs are still not the perfect option because you’re still promoting the products and services of someone else, and they have the control. But, they can still be a good option to monetize your blog. Running a digital business that offers digital services through your blog is the fastest way to generate a full-time income each month. You can achieve a five-figure month within just a few months. This is what I do now to monetize my blog. In this instance, you’re promoting your own services rather than those of someone else. That means you are also promoting you own brand, and you also have full control over which services to promote. 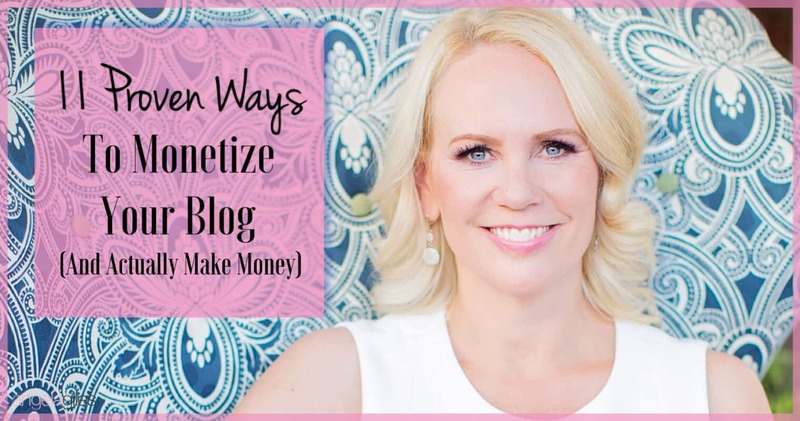 So this is one of the ultimate ways to monetize your blog. And while it is all your own services, you don’t have to create all of the training materials by yourself. Whether it be worksheets, training videos, or more, some of the items can probably be outsourced so you have help in creating them. Remember that you will be interacting with your customers one-on-one. If this option is for you, consider the following avenues through which you can create and sell your own services through your blog. Nowadays even if people want to DIY it, they still always look for guidance and direction from those who’ve been there, done that. So if you have any experience, knowledge or skill that you know people will need to achieve a particular goal, dream or desire, then you can package this information and guide them on a one-on-one basis as a coach or consultant. This type of service has become popular in recent times, so the market is wide open for you. Just be sure you have a focus on who your intended audience is, what you want to coach them on and know the exact impact your coaching will have on them. You can do individual or group coaching. To help decide is coaching is for you, think of some of these questions. Are you good with people? Do you notice a trend of people asking you the same questions over and over again? Have you found a strategy that works and fits for those questions? If your answer is “yes,” then you’re on your way to having a successful coaching business. Let’s assume your niche is helping blog owners make money with their blog. Other than coaching them yourself, you could offer services that they will need such as copywriting, social media strategies and posting, be their digital marketing strategist, graphic design, website design, SEO work, WordPress, Joomla, and more. If you’re someone who naturally loves standing before a crowd and sharing your knowledge, speaking at events would be a cool way to monetize your blog. A downside to this is you must first work your way up the ladder by building a strong reputation. So if you desire a high income from speaking at public events, you need to first build people’s trust in your reputation. Some of the ways you can make money as a speaker are charging a fee to be a keynote speaker, host your own training events and charge admissions, and/or offer one of your products from the stage. Yes! This is my all time favorite. (he he I said it again) After spending time trying out these three methods of monetizing your blog, I’ve come to realize the best of them in terms of paying the most, promoting your own brand and having total control is selling your own products (preferably digital) on your blog. 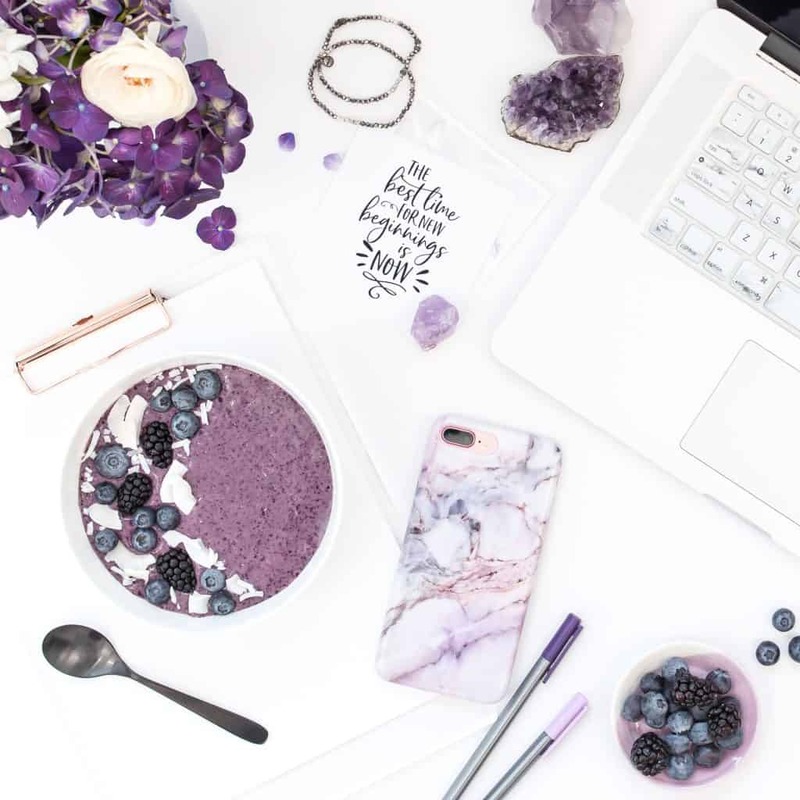 This method gives you complete freedom and control over your blogging business and you have the privilege and opportunity to impact on the lives of many more people than you would have by promoting other people’s products. And while I’m talking about “creating” your own products, you don’t have to do all of the work yourself. You can outsource help in creating some or all of them, or even just certain parts of your products. You could even have an assistant manage the outsourcing and creation of products until it’s time for you to see the finished results and do any final tweaking. 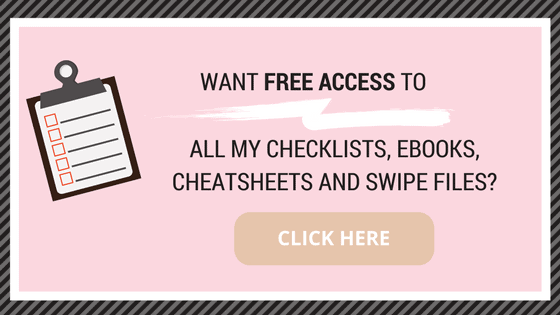 Creating your own digital products is a hot thing in blogging, so get on board! 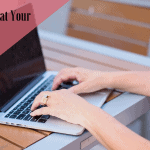 And holy cow – you really can monetize your blog in a huge way! So now it’s time for the main dish, how do you actually monetize your blog using your own products? Read on to find out! It’s possible to have great success with digital courses (e-courses) even without an email list or a webinar. Creating a digital product will give you more freedom to move things around, genuinely help more people, and of course, skyrocket your income. If you’re aiming for an annual six-figure income, e-courses might just be your best bet. The great news about e-courses is that they are scalable. E-courses can be created by virtually anyone in any niche. I just bet you have valuable information based on your skills, knowledge and experiences to share with the people that need it. Plus, the teaching and marketing aspects of e-courses are usually fun. A downside to e-courses though is that creating one usually involves a lot of commitment and dedication to launch and see it through to the end. Churning out say a 10-module e-course on increasing your blog traffic by 50% in 5 days is not an easy feat to achieve, especially where there is no boss to answer to or a deadline to meet. So you will want to get all of your systems and strategies in place if you want this passive income stream to work for you, especially if some of the work will be outsources, otherwise you could get burned out and overworked, and perhaps miss deadlines you have shared with your potential customers. An online workshop has almost the same characteristics of an e-course. A difference is it’s being delivered live (a replay or download may be made available) and not divided up into modules as precisely as is done with an e-course. Online workshops may not be quite as popular as an e-course, but it is the perfect medium for new-to-info-product bloggers looking to earn full-time money selling digital products, but not ready for the huge commitment and determination needed in creating an entire e-course or lengthy digital product. Online workshops simply work by you pre-selling your class before you hold it. This income method is colored with an element of scarcity, as people know that if they don’t sign up before the deadline, they lose out on seeing you live. All the other income streams do not have this powerful feature. Creating and putting together a workshop (which usually runs for a couple of hours) takes just a fraction of the time you would use to create an e-course. Knowing this motivates you to take on a less daunting task for those who wish to start creating digital products, but just can’t find the 25th hour in the day. Imagine spending just two days to create a workshop of three hours that rakes in $5,000 to $10,000 (or more). It’s very possible! And once again what a FABULOUS way to monetize your blog!!! Another super amazing thing about an online workshop is that the value of the materials used during the workshop isn’t over after the workshop. You could still develop and package it into an e-course! (Remember when I talked about turning your coaching into a digital product?!) Super cool right? Talk about the perfect way to monetize a blog! So your online workshop is actually just an e-course you ran in a day. After the workshop you can add some new points, especially those that were raised during the question and answer session and then convert into an e-course. For those bloggers looking for a way to earn full-time income from their blogs, this is the option I recommend best. It is literally the best way to monetize your blog (and not spend hours on it). And it’s even better if you can keep it evergreen (meaning something you don’t have to update every 6 to 12 months). For those who are shy but have writing as their forte, creating your own ebooks (or even physical books) is a grand way to monetize your blog. Personally I’d pick e-courses over ebooks any time any day, because in case you didn’t know this before, e-courses sell for ten times more than ebooks! I can hear you say, really?! 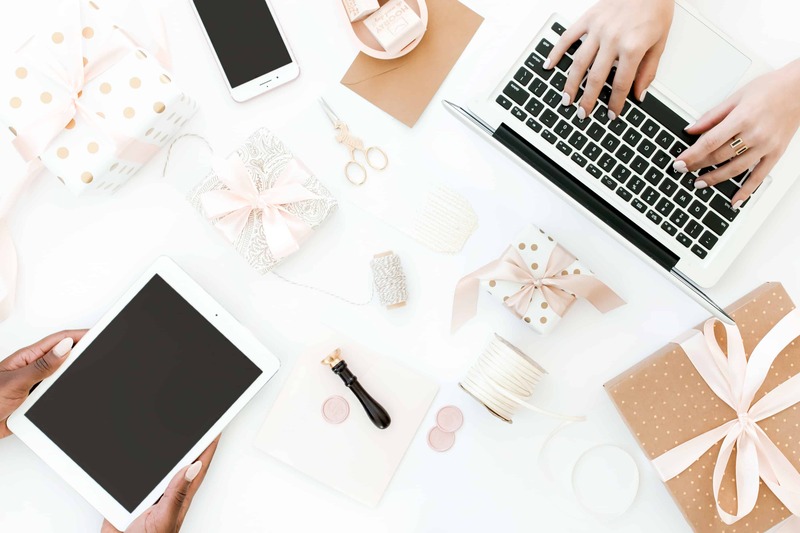 (hint: hint: Incredible way to MONETIZE YOUR BLOG) Yes, it’s true, not to mention you’ll invest the same amount of time to create both products. I can attest to this for sure. Let me analyze these figures… You spend two days creating an ebook which you price at $25 and sell only 10 copies. That’s two days to make $250. Not that great. On the other hand, assume you spend the same two days creating an e-course which you price at $300 and also made only 10 sales, that’s two days to make $3,000. Two days + ebook = $250. Two days + e-course = $3,000. We are not totally doing away with ebooks because they’re a great source of additional income, but not the best option if you’re looking for a full-time income. A workshop or an ecourse would be great instead. Membership sites need regular updates, whether monthly, weekly or bi-weekly, with new materials for your old and new subscribers to watch, read, or download. 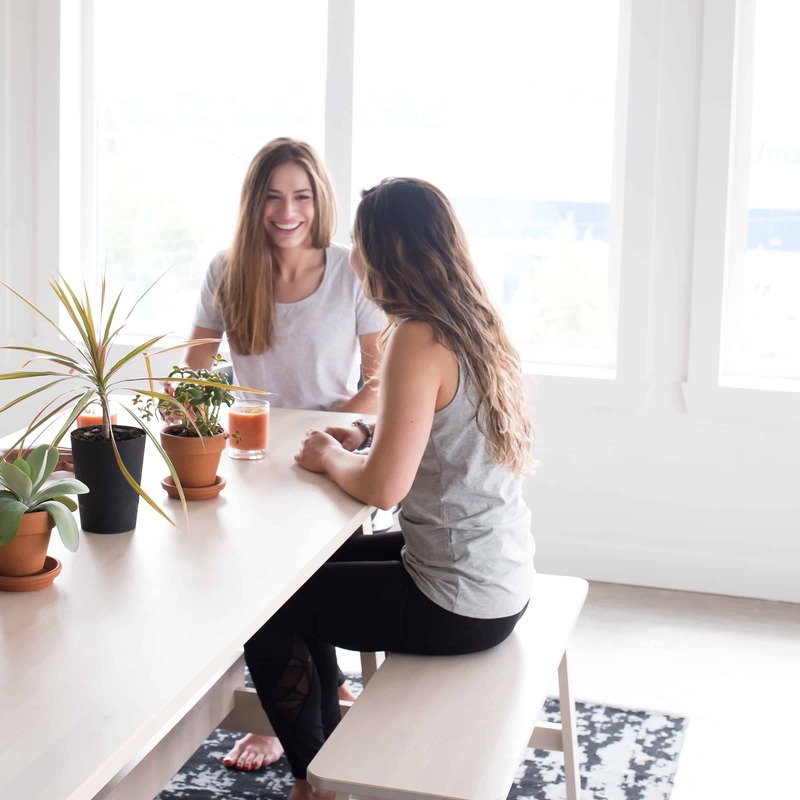 Virtually anyone in any niche can set up a membership site, and it has proven to be a nice way to have monthly recurring revenue. Related: La Femme Marketing Academy: How to go from struggling to successful in 8 weeks. Bloggers can make an income from not only digital products but also physical products, depending on what interests the blogger. This income stream can be great if you’re starting a brand that involves physical products. A downside is that launching such a business can be very expensive. You may have a lot of overhead such as equipment and not a lot of profit for the amount of work you have to do. You also have to handle logistics like taking an order, preparing and packaging the order, shipping and inventory, as well as the customer service. Although again, you may be able to outsource a lot of it. With great planning and passion it could turn out to be your big thing! So yes, you can still monetize your blog using physical products. I hope you’ve enjoyed our journey through several ways you can monetize your blog. You can probably tell my favorites (as I’ve emphasized them numerous times) are ecourses and online workshops, but that mostly because they are both scalable and one can be converted to the other. Plus, ecourses and online workshops puts your brand out there and positions you to interact and impact the lives of many more people than if you were promoting other people’s stuff. Remember, there is a smarter way to make things better and monetize your blog. My site used to run on a membership model. And you know what? It was actually working out well. I wasn’t rich, but the overall signup trend was going up instead of down. To make a long story short: I enjoyed the membership model, but the site also felt like a gated community. It felt obscure, where only a tiny loyal following was enjoying everything provided inside — behind a wall. So after remembering there were so many ways to make money from a blog, i realized that i could essentially have my cake and eat it too. Now the community is slowly thriving (since everything is open, which also helps you get discovered and naturally linked to). And at the same time, I am gradually looking into one (or several) of the things you mentioned in your article. The lesson in this long story: Sometimes taking a risk is worth it, even when your previous model was working just fine. Anyway, thank you so much Angela. Im actually going to keep this article in mind for future reference since my plans are still a work in progress. Awesome post. Very helpful for the ladies in my communities. Thank you, Angela.